Glass tiles remain a top choice for homeowners due to their superior aesthetic qualities and wide variety of options. They often feature the same shape as other tiles but are made of glass instead of ceramic or natural stone. Available in clear, reflective, and opaque options, among others, glass tiles offer numerous benefits. 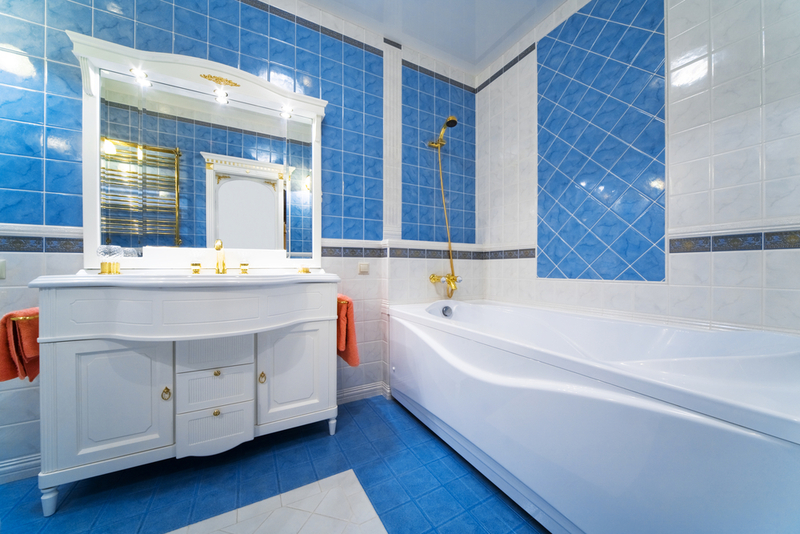 Use this guide to determine if glass tiles are right for you. What Are Glass Tiles & Where Should I Use Them? Glass tiles get their color when pigments are mixed with molten glass or when a pigment layer is added to the tile surface during the firing process. Both options provide lasting, fade-resistant color. Glass tiles are best used in the kitchen or bathroom. They serve as beautiful, functional backsplashes in the kitchen and provide a number of bathroom remodeling options due to their moisture resistance. Glass tile can cover entire bathroom walls and shower stalls or work as an accent piece, such as a mosaic. Other suggested uses for glass tiles include in swimming pools and around fireplaces. This tile option makes rooms appear larger and brighter due to its reflective properties. Glass tiles are also easy to customize, since they come with numerous finish options and can be shaped any number of ways. Whether you want uniform tiles for a bathroom wall or an intricate mosaic for a kitchen backsplash, glass tiles will bring your remodeling dreams to brilliant life. Find beautiful glass tiles at Pacific Tile Imports in Lihue, HI. The area’s leading source for tile, the company offers an impressive, affordable inventory that includes glass, ceramic, natural stone, and porcelain tiles. Call (808) 245­-1765 to discuss your home improvement project, or visit their website for more information.